THREE CHEERS FOR THE RETURN OF MUSIC BOX!!! 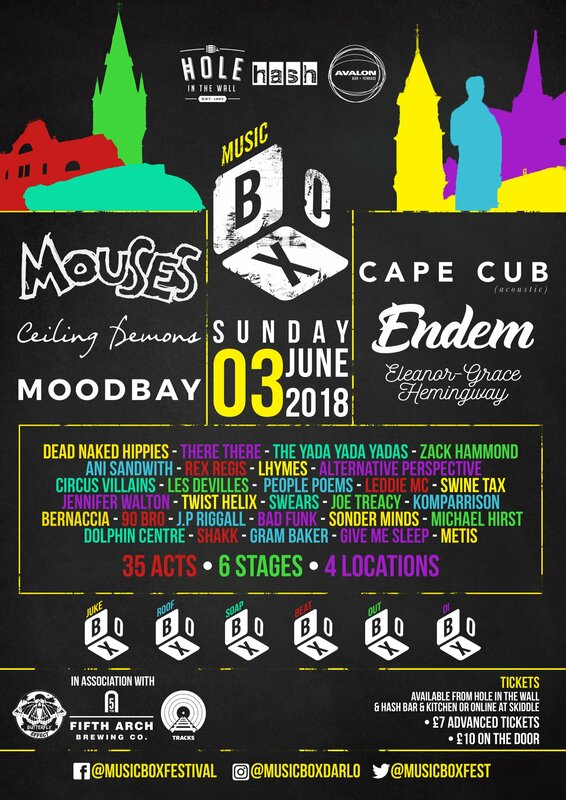 Music Box, Darlington's premier DIY music festival, is back for its third year and we're pleased to announce 2018's line up. On Sunday 3rd June, Hash Bar and Kitchen, Hole in the Wall Market Tavern & Kitchen & Avalon Bar and Terrace, in association with Tracks, Fifth Arch Brewery & Butterfly Effect, bring you 35 acts, 6 stages & 1 whole day of fun. It's a massive celebration of music, the vibrant North-East music scene and our lovely darling-town. If you want a peek at last year's shenanigans, check out the gallery here.